Nothing great ever came that easy. 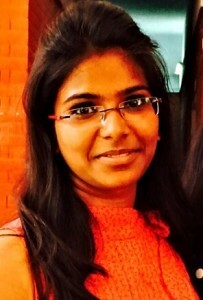 Apoorva shares her memorable experience of internship days. The greatest irony of life is that the best snippet of memories are made in a rush, unplanned and at the most uncertain moment.The tenure of 45 days that I spent in HCL, was a boon that many are not blessed with. The warmth, friends and merriment I indulged in, made the time slip in a blink. This experience has made me more confident,overt towards new shades of life and honed my skills further. My first summer internship experience proved to be very useful in increasing my communication skills. This internship has taught me more than I imagined. I worked under the HR department. I feel my duties were diverse and ever-changing. Coming to this position I have no idea where my career was going and I lacked confidence in what I did and in what I am good at. This internship has given me a good understanding of my skill set and where my career will take me to. This workplace taught me how to behave professionally, how to work as a team, how people come together to get things done. Like I said earlier, improved my skills a ton. This position not only served as a positive learning but also worked as a resume builder too. I came into this with a resume which was naked. This is a platform that students should strive hard for as it ushers in knowledge, skills and friends that remain the most valuable assets for lifetime. If Apoorva’s experience motivates you, you can check the latest internships in Delhi and HR internships. Internship at IIT Bombay : Does life give us a second chance?